In January of 2007, the Dickinson Police Department assigned the first-ever School Resource Officer to the Dickinson Public School District. In the wake of the Columbine tragedy, many law enforcement agencies realized the importance of being proactive in the school environment. Thus, the department and school district worked together to develop the School Resource Program. 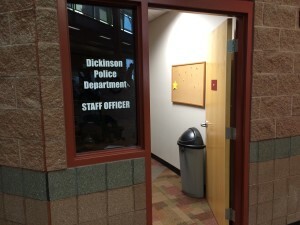 In the spring of 2018, the Dickinson Public School District approved the addition of a second SRO to the district. Sergeant Brandon Stockie will manage the SRO Program and the SRO duties at the Dickinson High School. Officer Tiffany Whinery is currently assigned to the Dickinson Middle School. Though they will primarily concentrate efforts between the high school and the junior high, they will also have a presence at the elementary schools with the assistance of patrol’s Adopt-a-Cop program. Some of their duties include resolving student conflicts, processing status crimes occurring on school property, and having a presence at after-school activities such as dances and athletic programs. 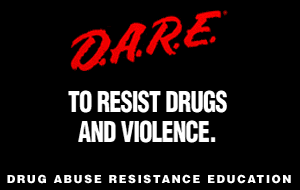 In the fall of 2014, the Dickinson PD, along with the Dickinson Public School District, were proud to announce the addition of D.A.R.E. (Drug Abuse Resistance Education) to our list of proactive services. Two officers attended an 80-hour specialized DARE course to become certified instructors. They began instructing the courses to 7th graders at Hagen Junior High. The courses are eleven, 45-minute classes covering topics to give kids the skills needed to avoid drugs, gangs, and violence. Supplemental courses also cover bullying, prescription drug abuse, and internet safety. 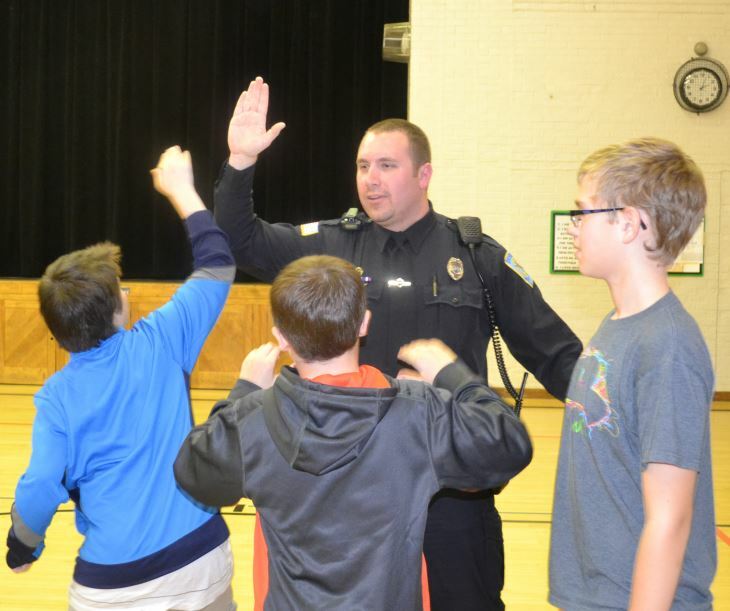 In the years to come, the department is hopeful to expand the DARE program into the 5th-grade and elementary levels. During the summer months, the School Resource Officers are involved in many of the city’s summer youth programs. They are also in charge of the community programs throughout the year. They have a satellite office located within the West River Community Center. 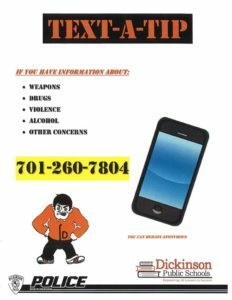 The Dickinson Police Department, along with Dickinson Public Schools, recently started a new program called Text-A-Tip at Dickinson High School and Dickinson Middle School. This program will give kids the opportunity to report illegal activities, bullying, weapons, and other concerns by texting the School Resource Officer at 701-260-7804. All students who use the program may remain anonymous. Check out the School Resource Officer Facebook page by clicking the logo below!